Become another New Zealand Trophy Hunt success using our premium guided hunting service. Book with internationally known Peter Chamberlain’s Kiwi Wilderness Safaris and have everything taken care of by Peter… personally. Peter chooses hunting areas that not only fill the trophy hunter’s bag but have them see some of the most awesome of scenic sights throughout New Zealand’s Southern Alps – Based and hunting exclusively in New Zealand’s South Island. The South Island is the home of New Zealand’s largest and longest mountain chain, the Southern Alps – home to the majority of New Zealand’s Red stag, Fallow stag, and all Himalayan Tahr and Alpine Chamois. 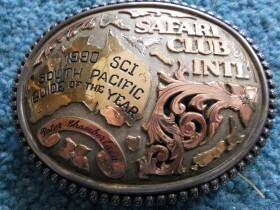 Enquire about a hunting trip with Kiwi Wilderness Safaris! 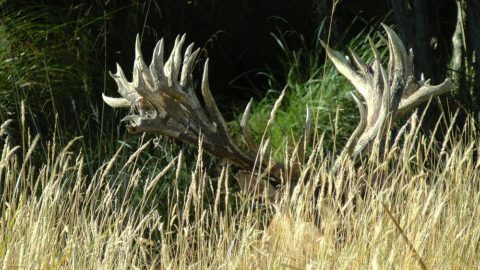 Out the back last week we were stunned to spot this stag before he turned tail. 500 SCI plus plus as to a mature eye of an SCI master measurer of 15 years. We have this hunt as an exclusive, Himalayan Tahr, Alpine Chamois, Fallow stag can all be taken during a same hunt. A great deal is offered. New Zealand game that is hunted include Red Stag, Himalayan Tahr, Alpine Chamois, Fallow Stag, Wapiti & Sika Stag. Also included are Arapawa Ram, Feral Goat, Wild Boar, Wallaby, Hare, Rabbit and Bushtail possum. Bird hunting in season, Paradise duck, Black swan, Turkey, Canadian Geese and a mixture of other duck. We guide a full on twelve months of the year there are no legal seasons for big game here in New Zealand and if the animals have trophy heads then we will guide them. Obviously the deer species will have a shorter season. 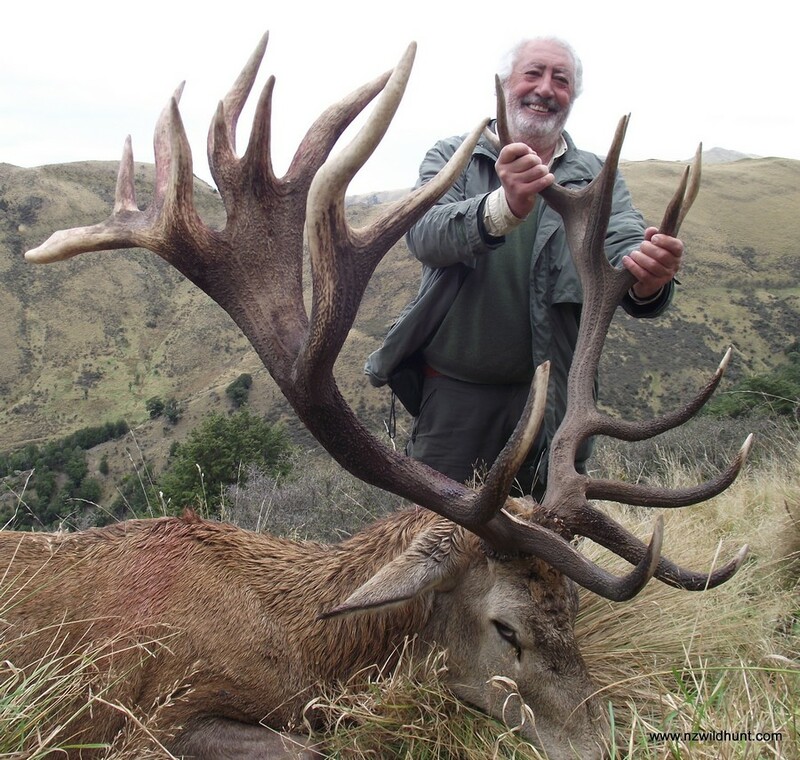 Learn more under hunting in NEw Zealand on the Hunting Information page. Professional New Zealand hunting guide since 1984 Peter Chamberlain invites you to share a memorable New Zealand hunting experience.